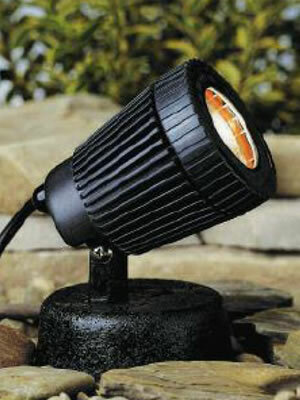 12-volt Water Lighting - Pond lights, underwater lights, and floating lights from Kichler to enhance your water features. 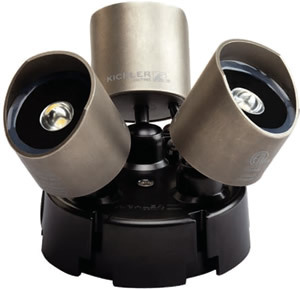 Let Kichler Water Lighting bring out the best features of your water features, ponds and fountains. 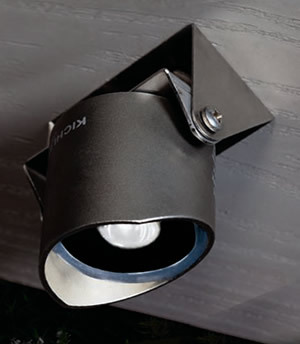 Submerge Kichler Underwater Lights to bring a waterfall to life after dark. 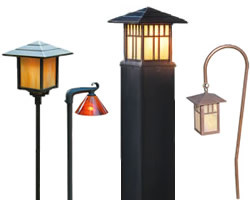 Add pond lights in charming shapes like a heron or a fish to add nighttime interest. Let Kichler quality bring something magical to your garden and waterscapes. Kichler's new, expanded line of professional-grade water fixtures applies the latest warm white light LED technology to this challenging application. 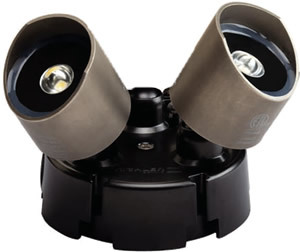 This low profile, versatile water fixture with 40, 000 hour life for minimum maintenance and maximum durability. 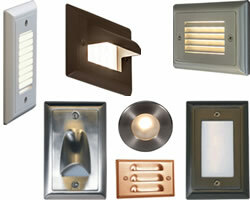 Be sure to follow proper instructions and use transformers rated for use with underwater lights (Kichler Pro Series). Not for use in pools or spas. Designed for underwater use in ponds, fountains, and other water features. Can also be used out of water – ideal for wood decks and overhangs. 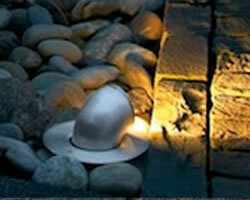 Dimensions: 1.85" x 1.275" x 1.9"
Heavy weight 1 prong underwater light accessory for standard installations. Provides advanced directional capability. 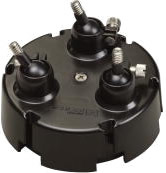 Unique heavy weighted 3 pronged underwater accessory for 2 or 3 fixtures to give maximum flexibility and directional capability. 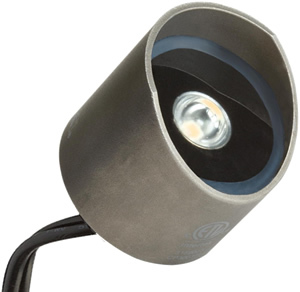 Weighted accessory for two or three 15711SS LED Lights is appropriate for underwater use. Width 3.5" x Height 2.75" x Length 3.5"
Width 3.367" x Height 1.33"
Stainless steel easy mount bracket for use above ground on any surface – ideal for wood and masonry when used on decks, patios or overhangs. Width 1.5" x Height 1.437" x Length 2.5"
Creates dramatic effects in or near water features. 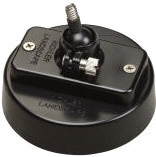 Rated UL 676 submersible-approved. 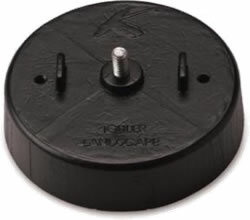 Use with Kichler Pro Series submersible rated transformer. Housing: Components of durable high heat thermoplastic composite resin. 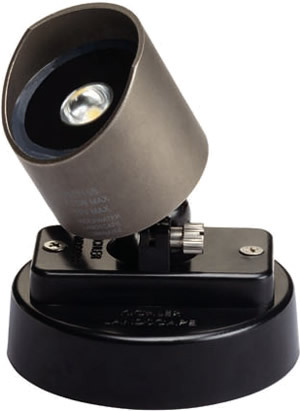 Lamp shielded by a heat-resistant flat glass lens fully sealed for watertight outdoor and underwater usage. Height 5" x Width 4"
NOT for pool or spa use. Learn how Wide the beam from each bulb can spread.